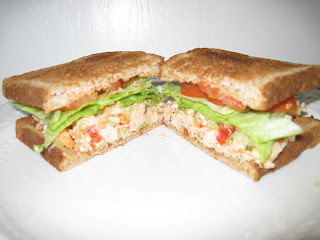 The Frugal Gourmom: This Tuna has BITE! 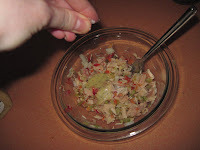 My husband is very anti-seafood. He can't even stand the smell of it in the house, which is why I don't make it very often in the winter season. It's also pricey here in the middle of the country. Today he is working...and canned tuna is cheap. 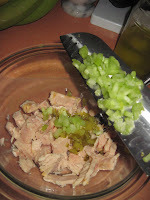 So here is my FAVORITE tuna salad. 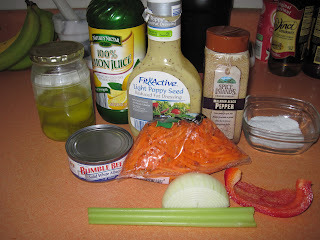 2 tbsp of low fat/low cal salad dressing (I LOVE the low fat poppyseed from Aldi...it's seasonal, but I stock up on it when they have it. 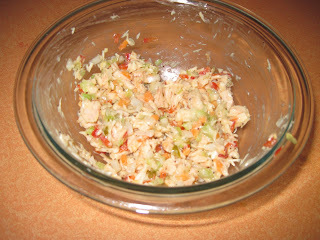 It's sweet and tangy and fantastic in this and in cole slaw) - I've used Italian dressing, Ranch and just plain old lemon juice and olive oil. They all work. 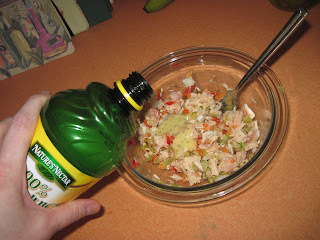 You can use mayo if you like, but I don't do mayo...ever. 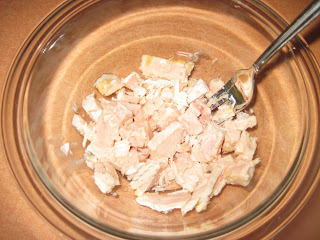 Drain the tuna very well and flake into a bowl. 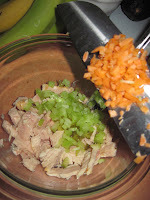 Mince the pickles, celery, carrots, onions & bell pepper & add to the tuna. 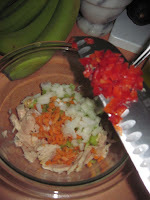 Now add the salad dressing. 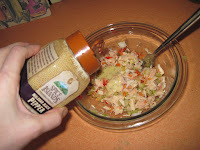 This one is REALLY great for tuna...and fantastic on cole slaw too! 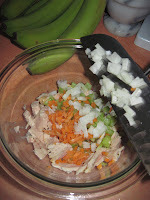 Add a tiny dash of lemon juice. Season with a little salt & pepper. Combine well & taste it. 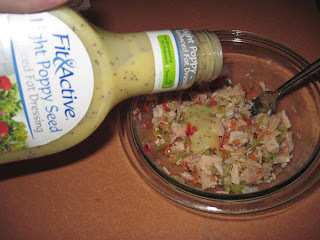 If it needs more dressing, lemon, salt or pepper for your tastes...add it! 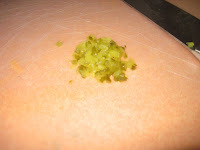 It's so flavorful and crunchy...full of texture and bite! 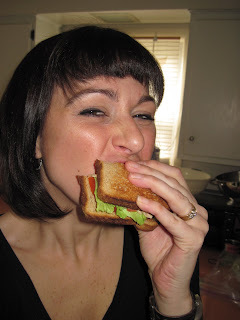 I love it on whole wheat toast with lettuce and tomato.